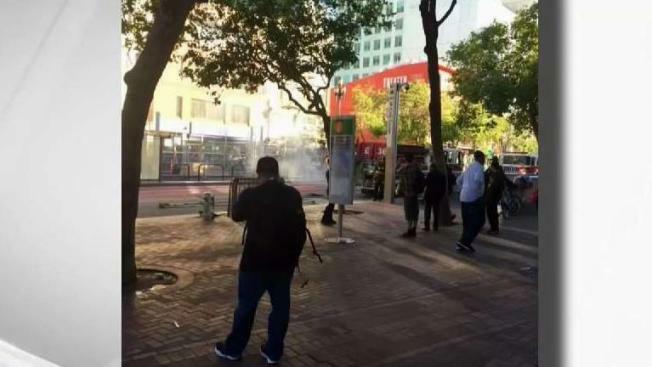 A fire in fan room at BART's Civic Center station in San Francisco caused a major delay on the system and closed for the station for a while Friday evening, BART officials said. As of 7:42 p.m. the fire was out and the station was open again but residual system delays exist, BART spokeswoman Anna Duckworth said. The earlier delay was at multiple San Francisco stations in the San Francisco International Airport, Millbrae, Daly City and East Bay directions.